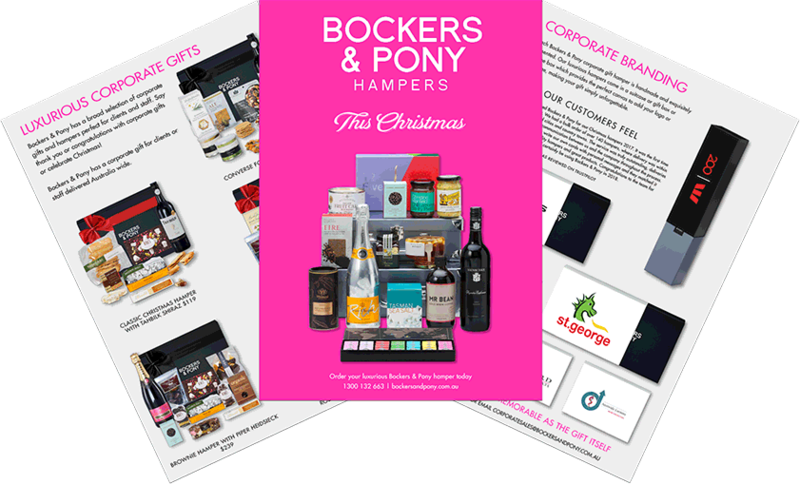 Bockers & Pony specialises in curating Australia's most luxurious and covetable corporate gift hampers for every celebratory occasion. Our Corporate gifts create a positive impression: one that will make your brand memorable. We can accommodate your budget and special requests. We can help you organise branded labels and personalised gift messages. We make the task of ordering gifts simple and easy! We are reliable, efficient and care about the response that our gifts create. To order or discuss your customised corporate gift hamper requirements, fill in the form below. Our Bockers & Pony team will be back to you shortly! We're delighted to save you time by collating the most comprehensive collection of contemporary and stylish corporate hampers available today. Looking for a personal touch? Contact our corporate hamper customisation team for gift experiences that reflect the importance of your brand. 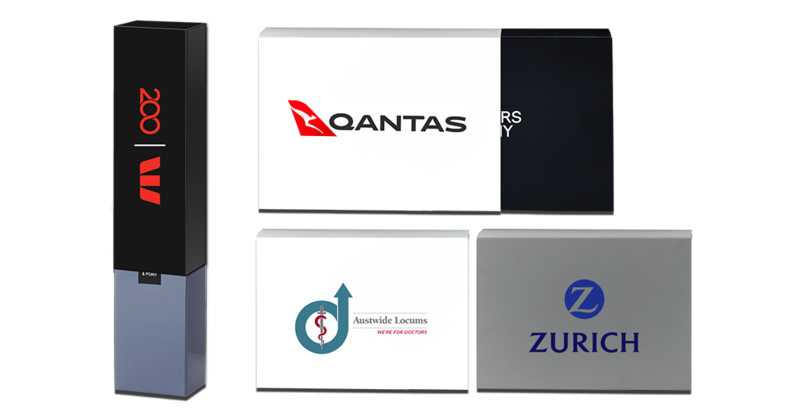 We offer 4 corporate branding options - branding on gift card, wine box, gift box and suitcase. Wine Box provides a great canvas to put your branding on a gift that is always appreciated. Add your logo to the sleeve on the wine box and you have a very well presented gift that makes a great impression. Gift Box with your branding sets the scene for a great gift, the contents of which are specially curated, hard-to-find luxury items. The sleeve on the gift box provides a great canvas to showcase your logo and message. Your recipient will appreciate your gift personlised with your logo.